Rules & Rulings is a brand new column here at The Escapist, where I spend some time highlighting the best of the online culture surrounding tabletop games. The roleplaying game, card game, and board game enthusiast blogs create the majority of the most fascinating house rules, adventures, tools, riffs, twists, and commentary on their games - a richness I want to curate for you alongside some of my own commentary. Over at his blog, indie designer Daniel Solis (who we've spoken to before on the site) has an interesting breakdown of a visit to a small press comics exhibition. Solis focuses on the creative challenges that face both comics creators and indie game makers, as well as the lessons that each can learn from observing the other. Fascinating stuff, because we can always learn from those who work in spaces outside our own. The Opinionated Gamers have a preview of upcoming euro board game Burano, which looks like it might scratch some of my favorite itches. 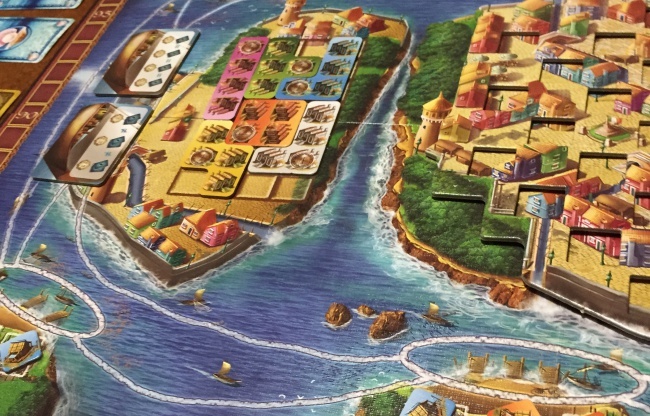 It's a complex euro-style board game focusing on placement of specific little cubes to build your own italian lace-making and fishing empire. I'm always attracted to a game where regardless of the level of competition, the players have built something by the end: see Carcassonne. 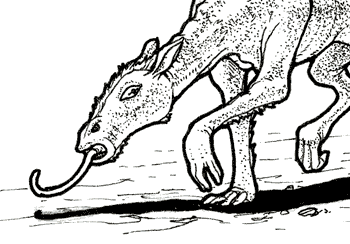 The Trilemma blog has a bizarre and awesome critter that stalks you in deserts and drinks your fallen sweat to magically leach moisture out of you. It's called a Water Shade, and would fit right into most fantasy roleplaying games. Bat in the Attic has a cool post about learning to understand systems very different than the ones you usually use, specifically focusing on the GUMSHOE system - the one where when you're trying to solve a mystery, you automatically get the clue. It's a valuable lesson to see someone articulate in an age where people can fight very absurd, polemical wars over what kind of game to play. Kennon Bauman at The Illuminerdy has a rad exploration of actual stone age megaliths in New England and how to use them in your cosmic horror or Cthulhu gaming. An amazingly whimsical take on fantasy economics, the Tragedy of the Commons, and the effect of a 20th level fantasy adventurer has popped up on Critical Hits. The Tragedy of the Murder Hobos is a a comedic, incisive extrapolation of what really goes on in a Dungeons & Dragons world. Over on Greyhawk Grognard, there's an interesting discussion about the value of showing vs. telling in roleplaying game supplements. Like you might guess from the blog title, the author is very much in favor of old school telling through adventure events rather than the more recent style of publishing an info-dump intensive campaign setting book. Merric B has compiled a retrospective of stat blocks in adventure game supplements over the years - focusing on Dungeons & Dragons. While that might sound as exciting as watching paint dry, it's actually a fascinating insight into where each game system's priorities lie, and may well help you choose which is best for you. Mapmaking maven Dyson Logos has started doing Isometric maps again, which I will watch with both pleasure and interest. Check it out. Sly Flourish is working on a way to integrate the grid-reliant combat of recent d20 Fantasy games like D&D or Pathfinder into a more narrative-based positioning method like you'd see in an RPG with more modern design roots. Instead of counting squares, Sly lifts Fate's Zones mechanics to give you relative positioning and easy fights. It's a more-extensive-than-necessary breakdown that focuses on making his thoughts playable at the table - which is neat! He'd love some feedback if you playtest it, too. Finally, over at Harbinger of Doom, we've got a homebrewed variant of the Dungeons & Dragons 5th Edition Ranger class, which focuses on using a magical lantern to light the way in dark and unexplored places. I like that it caters to two-weapon fighting rangers by giving them an off-hand weapon with a little extra bite! 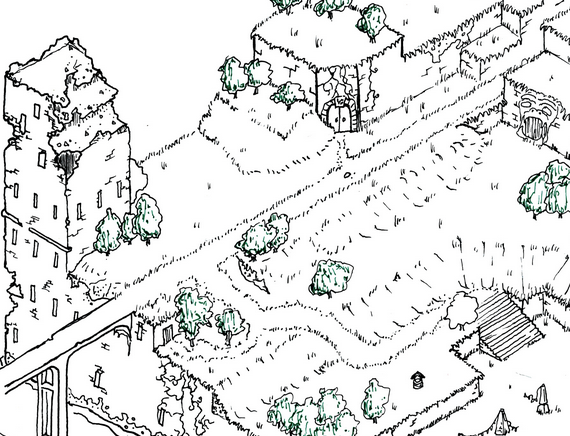 This Kickstarter is making neat modular map tile pieces for online or in-person roleplaying games - they're pretty, and use a video game-like perspective. Have an awesome blog, podcast, or other publication I should be following? Spot an amazing post I should see? A fan creation? Email us and let me know! Or contact me on Twitter, where I will "like" your suggestion because they took away the star, ugh. Jon Bolding is The Escapist's Production & Tabletop Games Editor. You can follow him on Twitter. You can watch him stream video games Mondays at 3pm ET and play tabletop games at Twitch or [a href=""]The Escapist Plays YouTube on Wednesdays at 4pm ET.